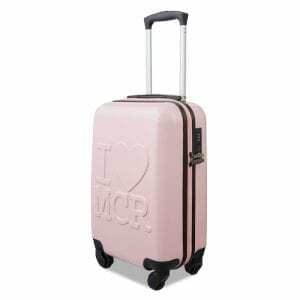 The Wharf in Castlefield is always a popular choice for those in the know this time of year. Just 15 minutes walk from the city centre, with a cracking beer garden that overlooks the picturesque canals and doubles up as a great place for dog-spotting, the outside area is the perfect choice if you’re looking to make the most of the sunshine. 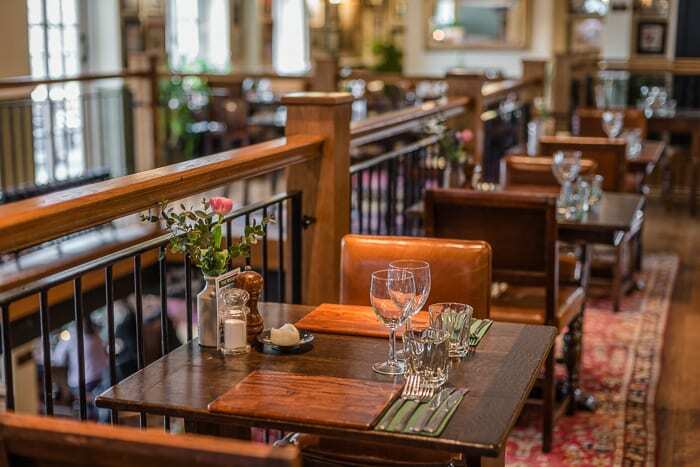 Besides offering a vast selection of wine, cask ale and gin, they also run a small selection of aperitif cocktails to whet your whistle. 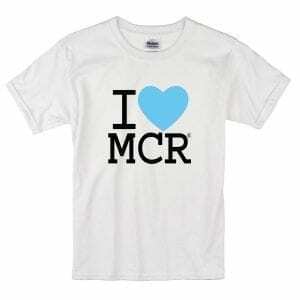 Our favourite? The sloe gin negroni, made with Plymouth sloe, Campari and Tio Pepe and served with a slice of orange. The pub is vast. 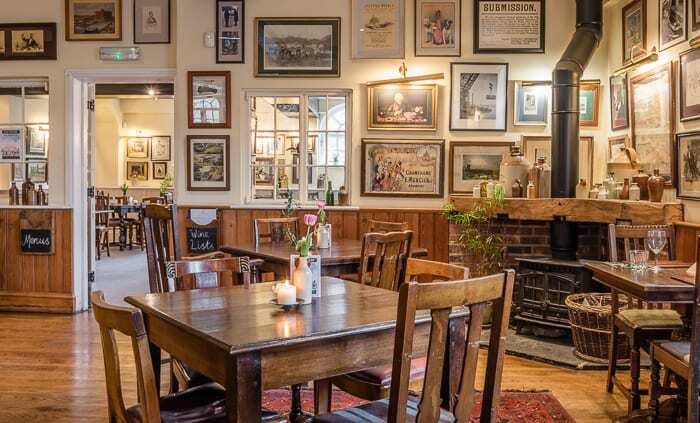 Its walls are lined with bookshelves, beautiful wooden beams and traditional fireplaces, offering all the charm of a rural pub. Look a little closer and you’ll find an array of board games next to the bar just waiting for someone to get stuck into them. Characterful mis-matched furniture, leather armchairs and big wooden tables give the whole place a distinct charm. Stacked over three floors, there are plenty of quiet nooks and crannies downstairs to tuck yourself away with a book and a cup of tea or a glass of wine. Upstairs, another floor with its own private bar has a central balcony that looks onto the downstairs bar and large windows where you can dine overlooking the canal when the weather is acting, well, Manchester-appropriate. What’s more, this space is also free to book for events during the week. 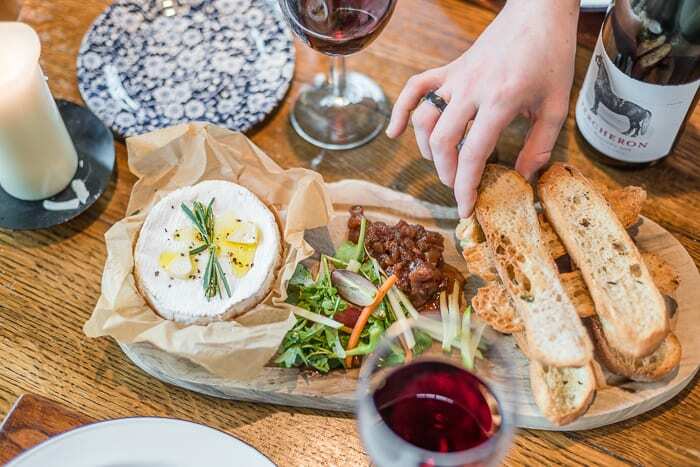 The Wharf’s menus complement its rural, homely aesthetic with a selection of fresh, locally-sourced food. 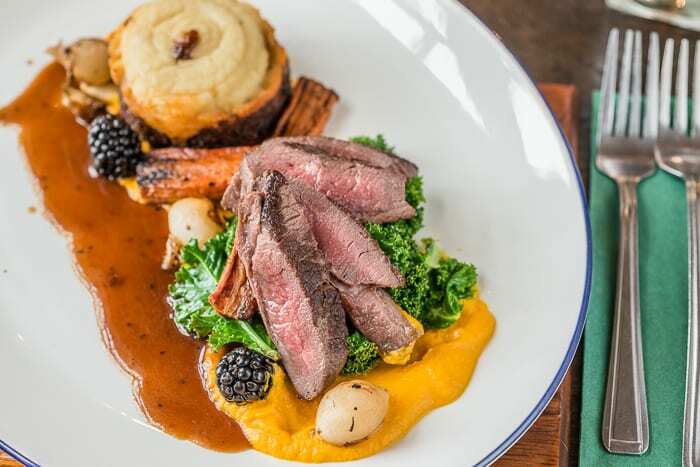 The kitchen produces traditional English fare, running a daily-changing menu that adapts with the seasons which they upload to their website before 12 o’clock every day. 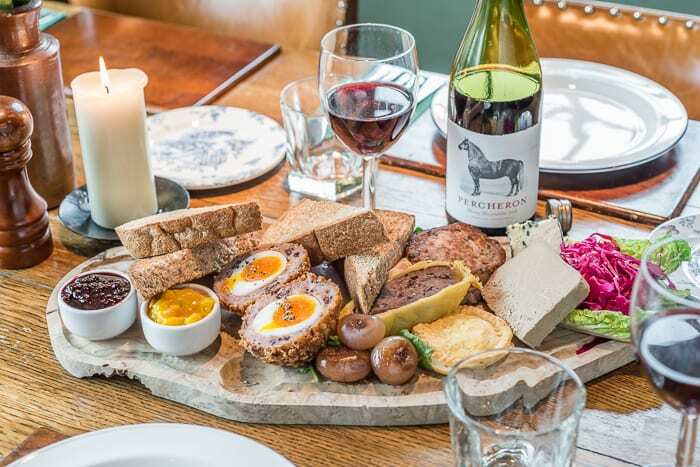 Whilst-you-wait mainstays include crowd-pleasing sharer boards like the garlic and rosemary baked Camembert served with a walnut and apple salad and chutney, and the Manchester platter stacked with homemade Vimto chutney, Castlefield eggs, ham, chicken liver pate, black pudding sausage roll, Burts blue cheese, Eccles cake, toast and potted ham hock. 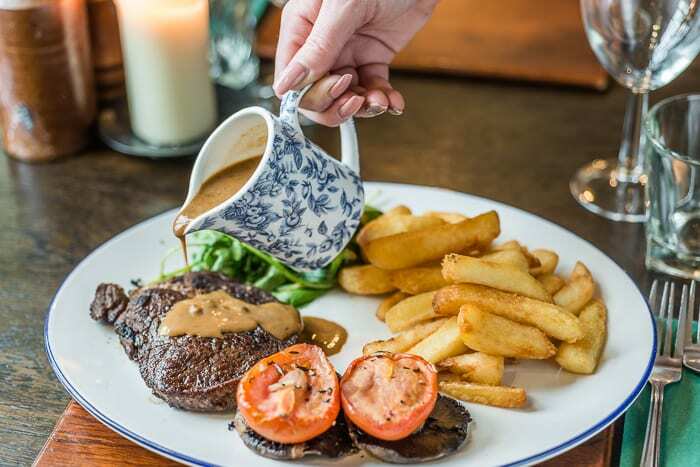 In the mains camp you can expect all the traditional favourites done really well: succulent 10oz rump steaks served with dijon and tarragon butter, mushrooms, tomato and of course chips; pork and leek sausages with mash and onion gravy; beer-battered fish and chips; or hearty steak and ale pudding. Going all-in? Opt for their pan-roasted rump of lamb served with minted peas, asparagus, new potatoes and a red wine jus. Or try the braised shoulder of lamb with roast potatoes, red cabbage, tenderstem broccoli and rosemary gravy. Alternatively, if you’re after something lighter, there’s a sandwich and nibble selection too offering up everything from coronation chicken flatbread to a roast pork sarnie. You can’t lose here. 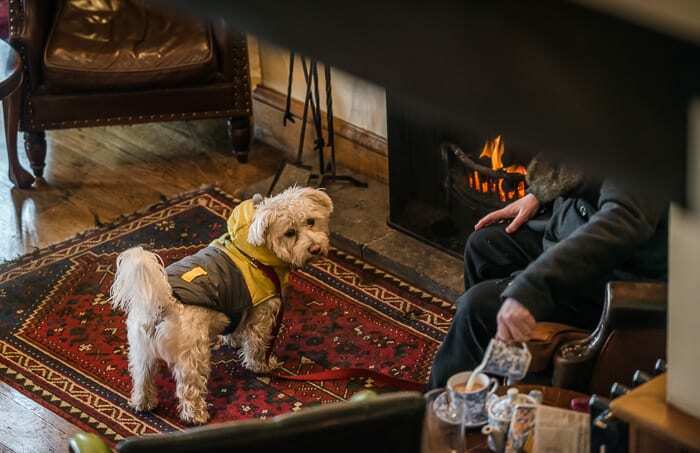 On Sundays the pub comes alive with dogs a-plenty, families and locals tucking into the steaming roast dinners coming out from the kitchen. An oasis of calm a short walk from Deansgate, The Wharf is beautiful outside and in. For traditional food and top-notch boozing in a beautiful location, look no further. Good pubs are worth holding on to, and we’ve found an absolute treasure. Trinity Islands: can the highest ‘vertical village’ in the north west meet Manchester’s growing needs? Tickets to watch England on the big screen SOLD OUT in just 30 mins – but don’t worry!